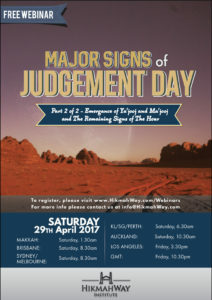 Continuation from the first part of the Day of Judgement series, we will take a look at the emergence of Ya’jooj and Ma’jooj and the remaining signs before the Day of Judgement comes. 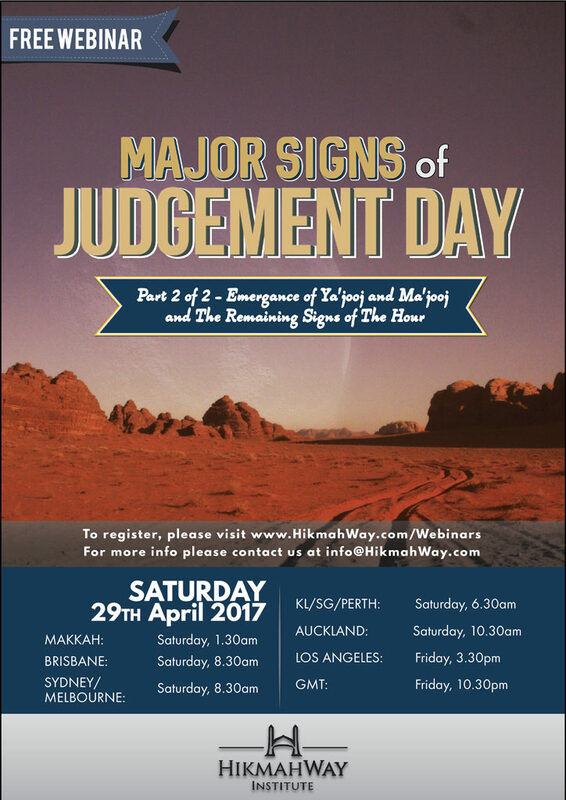 Register now to this free webinar, Major Signs of Judgement Day, Part 2 of 2 – Emergence of Ya’jooj and Ma’jooj and The Remaining Signs of The Hour. Don’t forget to invite your family and friends to this beneficial webinar for your deen and dunya. Register now and invite your family and friends to this beneficial webinar for your deen and dunya.